Hayley Paige and Blush by Hayley Paige have a great rush program on select wedding gowns! This includes a handful of our favorites gowns! They can be ordered with a complimentary 8-12 week rush depending on the style. Anna Campbell gowns can be expedited upon approval for an additional charge that is more than reasonable to get your wedding gown here from Australia! Theia is great at a quick turn around if they have stock pieces. They don’t always have every wedding gown available in every size but your stylist will help you navigate which ones are available. And the best part? No rush fees! 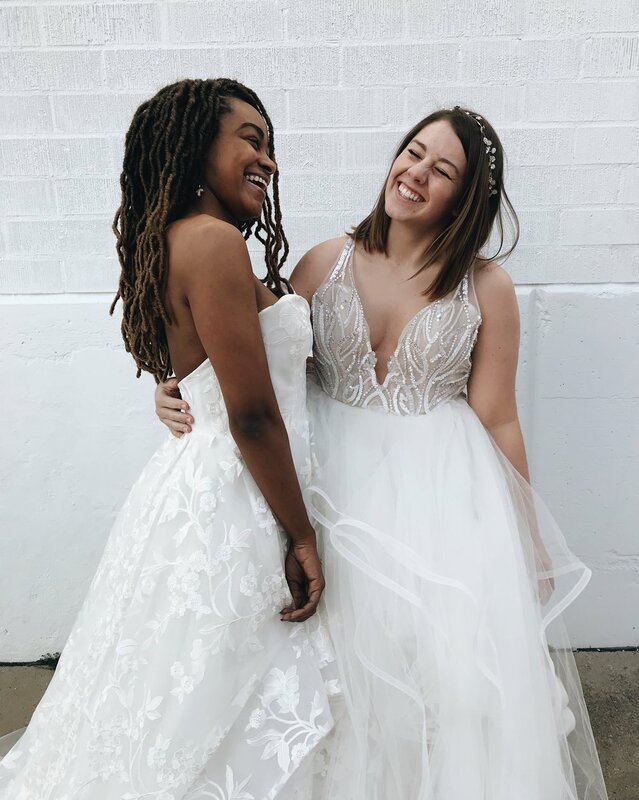 Sister brands Laudae & Truvelle are great options for quick turnarounds, because with approval, we can have the wedding gown here anywhere from a few months to a few weeks! Our stylists are happy to chat through pricing and details! The gowns arrive with standard production in about 6 months out from ordering so the additional fee to expedite your perfect gown is well worth it! These are just a few of the options we have for brides who are planning their wedding without a lot of time to spare! Give us a call at our shop and we will be happy to make additional recommendations.